It's been a while since we've made a new post here on the Dev Blog (don't worry, we're all still here). I hope you'll forgive us. First of all, Shaun, has been staying with me over in the UK for 2 months working behind the scenes making some awesome progress. We've attended another convention, this time with a console of our very own (we figured plain old monitors didn't have the impact we wanted last year). The console features a 23" Full HD display for Prolixus and a 17" display for Vexillum mounted behind a Perspex sheet and set between our new RGB LED wireless alert lighting modules. Below them is a 1.2 meter translight touch panel, which controls both Prolixus and Vexillum (also wreless. We also bought a 23" touchscreen to test out some new touch features. As you can see our exolinguist, Greig "RunicCode" Isles (below) trying to work out what jibba-jabba some hostile alien is trying to tell us. 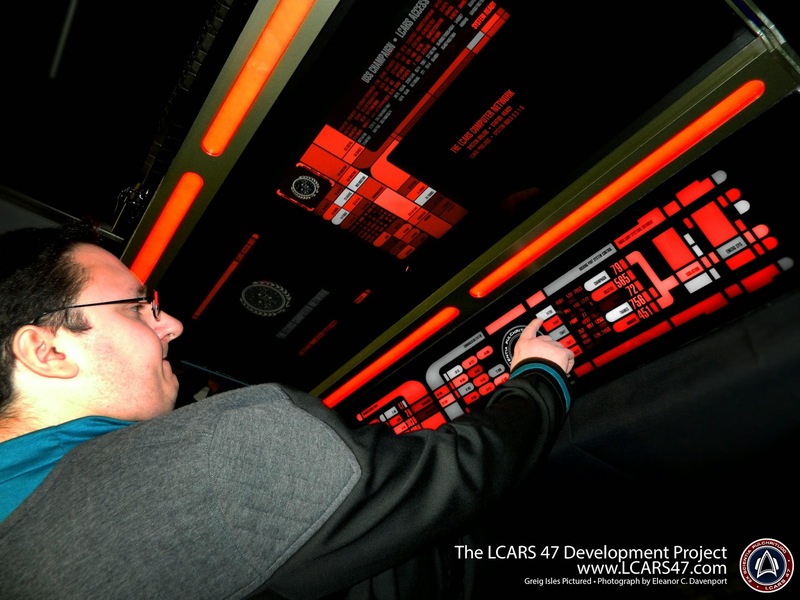 In slightly less nanoproby news, we'd like to announce that LCARS 47 is getting a ground up rebuild. 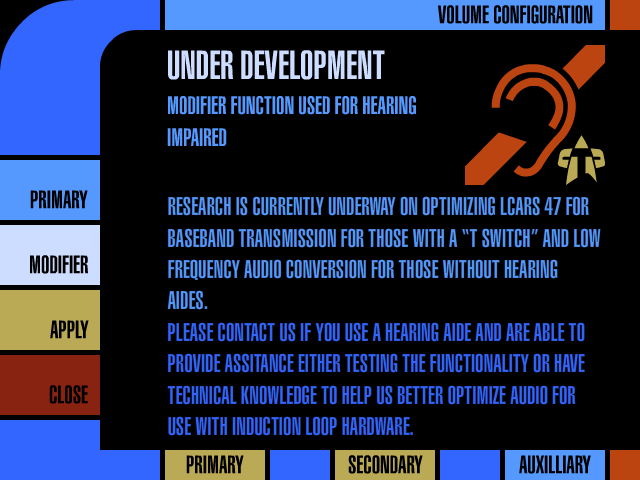 Version 6.5 is well underway. 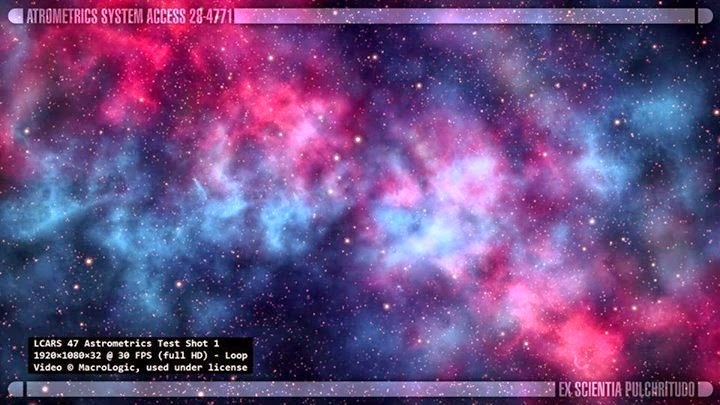 Prolixus is being converted for 16:9 monitors and Vexillum is getting the TLC is badly needs to meet our QC standards. 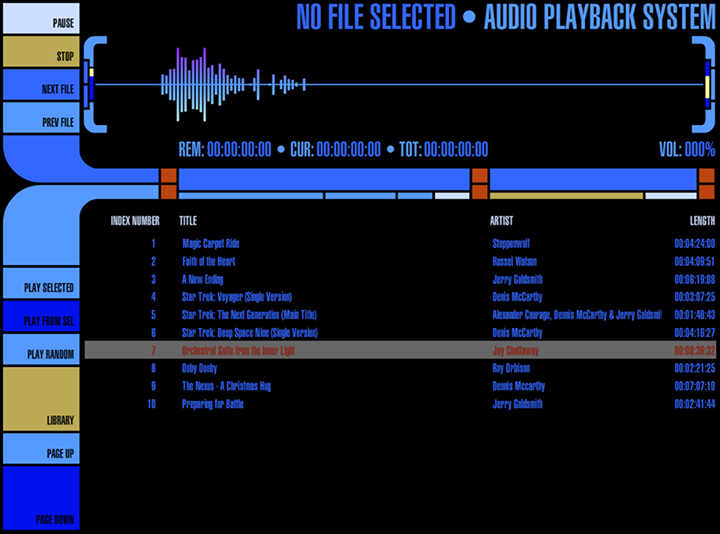 Both programs will be packed with new features, new animations, more customizability and a bloody media centre to boot. Astrometrics? 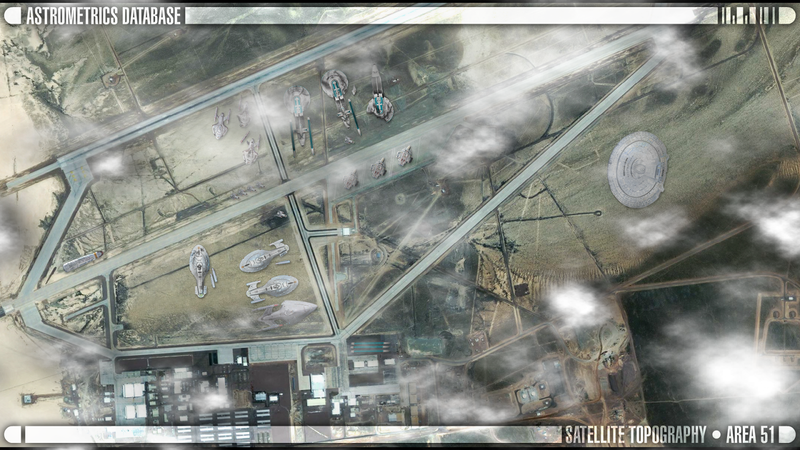 You bet astrometrics (ignore the spelling error, I fixed it). 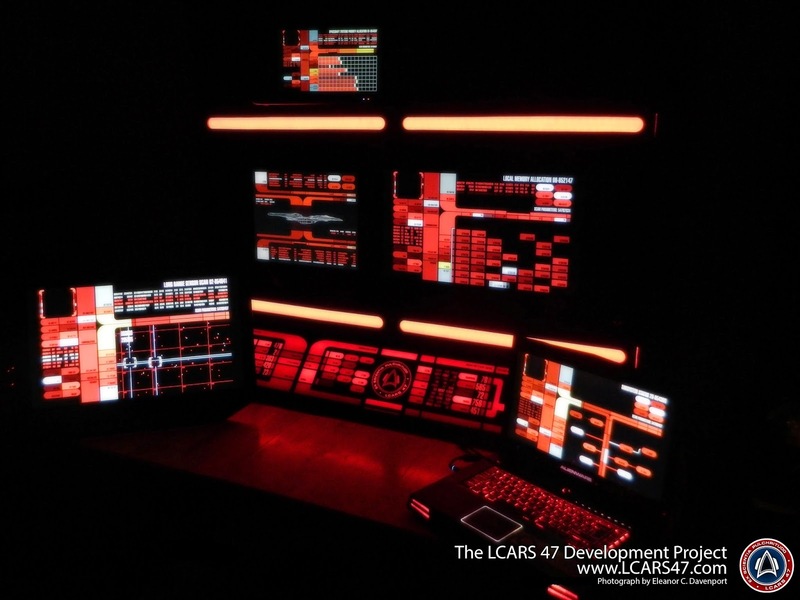 Further to that, we'll be supporting more harware setups including our own propriety wifi controllers and alert units with are still under development, induction loop hardware support and if that's not enough for you, you'll be able to combine LCARS 47 on your computer with the LCARS 47 app for Android, Expeditus, which is also getting rammed full of features including GPS, and the ability to control your house from your phone... You want to send an encrypted transmission to your buddy in Australia, you can do that too. That's right, people. 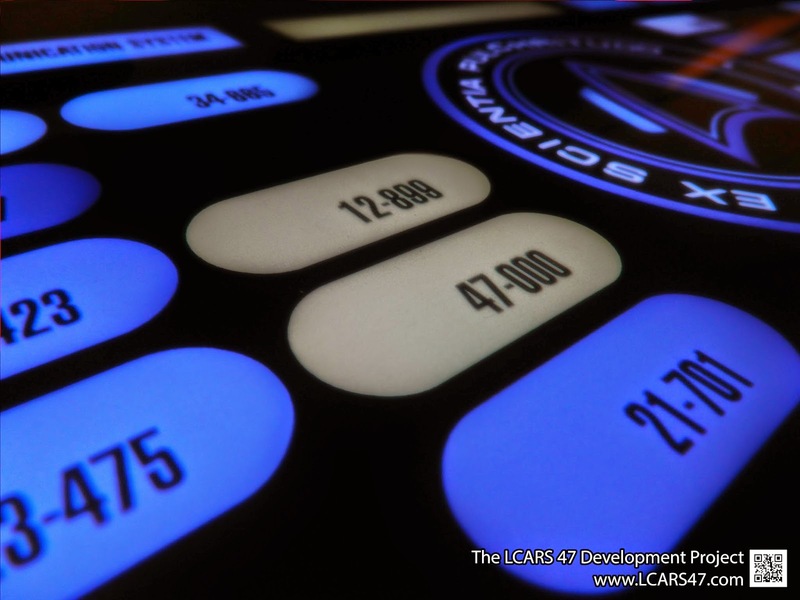 We're about to invent actual LCARS. That's all for now. For more frequent updates and to really get yourselves involved, drop by our Facebook or come stalk us on Twitter. Failing that, we got Google+ too. In the meantime, why not check out our updated YouTube channel. are you going to publish a downloadable versio?